Reducing meat and dairy is the way forward: eating tasty food which is good for you, good for your pocket, good for animals and good for the planet. Using fresh produce, Lee celebrates this incredibly healthy way of eating through recipes that are varied, nutritious and utterly delicious. From meals to rustle up in a hurry, to show-stoppers for special occasions, this book is set to rock your concept of cooking vegan! Dishes include Tagliatelle with Artichoke and Almond Sauce, Pumpkin and Beetroot Bhuna and a Roasted Chestnut and Fennel Casserole. 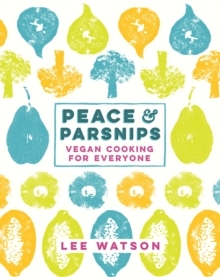 This is vegan cooking for everyone.